In January 1988 Martin Pistorius, aged twelve, fell inexplicably sick. First he lost his voice and stopped eating. Then he slept constantly and shunned human contact. Doctors were mystified. Within eighteen months he was mute and wheelchair-bound. Martin”s parents were told an unknown degenerative disease left him with the mind of a baby and less than two years to live. Martin was moved to care centers for severely disabled children. The stress and heartache shook his parents” marriage and their family to the core. Their boy was gone. Or so they thought. 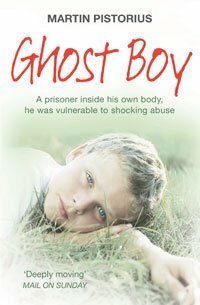 Ghost Boy is the heart-wrenching story of one boy”s return to life through the power of love and faith. In these pages, readers see a parent”s resilience, the consequences of misdiagnosis, abuse at the hands of cruel caretakers, and the unthinkable duration of Martin’s mental alertness betrayed by his lifeless body. It’s been ages since we’ve provided a glimpse into how our book club discussion went down. But Ghost Boy is the perfect book to take us back on track. This is a tragic but powerful story that we all enjoyed reading. We felt that Martin Pistorious’ purpose for telling this story was to have readers understand that a disability, regardless of how severe, does not make a person less deserving of compassion, empathy, dignity. 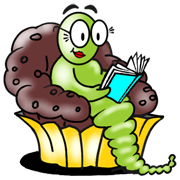 What’s a book club meeting without a few differences of opinion? Tonight we debated the depiction of Martin’s mother. Was it too harsh? Not harsh enough? We all expressed great compassion for Martin’s mom and how unbearably difficult it was to ‘lose’ her son at 12. Yet we judged her as well. But that judgement is based on what we now know of Martin. His mom didn’t have that insight. Would we have been able to keep hope alive and sustain the level of commitment Martin’s dad did? Most of us could not say for sure. Despite the heavy subject matter of this book we though the author gave us just enough background to help us understand the unbearable frustration of wanting to scream “I’m Here!! !” and having no one notice, the despair when being regularly deposited in a place of horrendous abuse, the powerlessness of having to eat food that is too hot or watch Barney for unending hours and the mind blowing joy of falling in love and being loved in return. And of course we have to give credit to our wonderful host who served South African wine, made South African meatballs (from here on called NM’s balls) and a South African dessert! Thank you Liz for going the extra mile yet again. It was a wonderful night.